Home › Google › Where Can I Find a YouTube Music Key Invite? 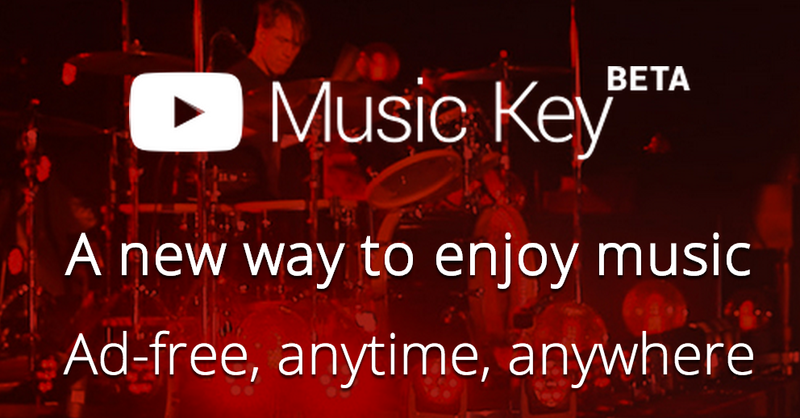 In October 2014 it was Google Inbox and in November 2014 it is YouTube Music Key. Google loves nothing more than to roll out products in beta or invitation only stages to allow the most diehard users to test and give feedback. This feedback comes at no cost and is invaluable to Google and YouTube. When looking for a YouTube Music Key invitation I am certain many people will scour Google Plus, Reddit and Internet message boards. I will do my best to find out the best places to find YouTube Music Key invites. In the meantime, feel free to have a conversation in the comments discussing ways to get an invite. You can also leave your email address so when some of us do get invites we can share them very similar to the way we did Google Inbox invites. YouTube Music Key is going to change the way many people listen to music and consume YouTube videos. With Taylor Swift pulling her albums off Spotify and other music services costing $9.99 or more a month it will be interesting to see how many adopt the Google service for $7.99 at the current promotional price. It looks as if Google will raise the prices to $9.99 when it is open to the public but that could be several months down the road. Right now, lucky beta users will be able to test the service for six months at no cost. This is a fantastic offer for music lovers. I will continue to monitor the developments surrounding YouTube Music Key and will keep you up to date. Bookmark this page for future updates and opportunities to get an invitation. I am not certain if YouTube will give users three or five invites like with Google Inbox but we can sure hope. 2015 Predictions for Social Media Platforms and Trends | What’s the Difference Between Google Panda and Google Penguin? Sounds amazing, but I’m a little bit confused between the functions of Youtube Music Key and Google Play Music. Do they finally get only one? Or maybe Play Music will be moved to be just a “downloader” of YMK? I would very much appreciate I can get an invite to this somehow so if anybody knows how to really she ate it. My Email is is jose..hernandez9@gmail.com. I am a very avid music fan and always use YouTube been a member since 2006. If anyone has an invite please really consider inviting me much appreciated thank you.